Though few in number, the historic buildings in East Village are big in character. The colourful histories of the Simmons Building, St. Louis Hotel, Hillier Block and King Edward Hotel add a compelling dimension to the neighbourhood’s personality. That’s why CMLC has worked hard to incorporate these buildings into the area’s overall planning and development. 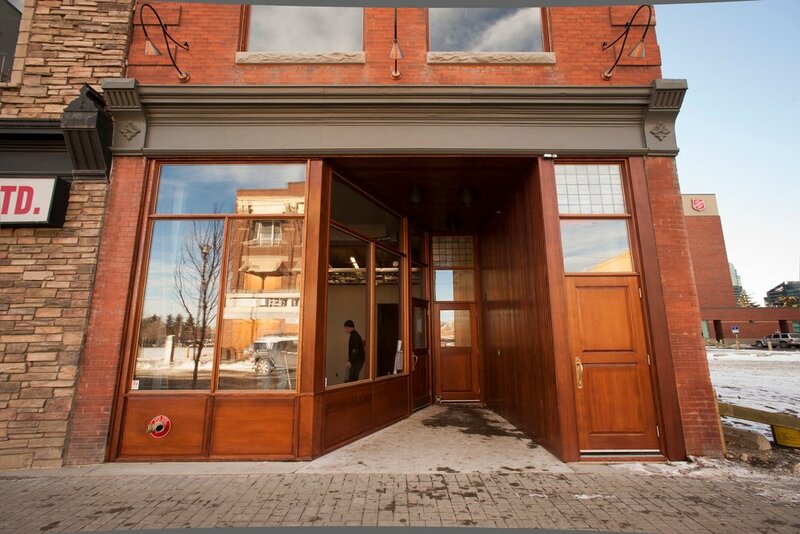 CMLC’s extensive remediation and restoration of these heritage buildings is now complete. The Simmons Building is a thriving hub of community activity and commerce as the home to three local entrepreneurial success stories. The King Eddy Hotel has been rebuilt and incorporated into the stunning design of Studio Bell, Home of the National Music Centre and the Hillier Block and the St Louis Hotel are currently used for commercial office and community space. Since initiating restoration efforts in 2008, CMLC has brought the Simmons Building up to 21st-century spec while preserving and restoring its important historical elements, setting the stage for its transformation into an exciting culinary destination along the newly redeveloped RiverWalk in East Village. Formerly a factory warehouse for a national bedding manufacturer, the Simmons Building snoozed beside the Bow River for decades before CMLC took up the restoration challenge. We repaired windows and mechanical systems, removed contaminated materials, modernized its structure and systems, all while preserving and restoring elements with significant heritage value. Further, to activate the building as a key dimension of our RiverWalk master plan, we opened up the north side of the Simmons to provide spectacular views and establish an intimate relationship with the river, all in preparation for the three tenants to move in. Charbar, Sidewalk Citizen Bakery and Phil & Sebastian Coffee Roasters took over, designing their interiors and readying their kitchens, roaster and ovens. The award-winning Simmons Building is a popular gathering place in the community and is occupied by three local food and beverage champions. The building puts in place an important piece of CMLC’s retail strategy for East Village, which calls for approximately 100,000 sq ft of Village Format retail – a ‘boutique’ style of retail that tends to be more intimate and service-oriented than Urban Format retail, which in East Village will add up to about 300,000 sq ft and include such categories as grocery, home improvement and general merchandise. 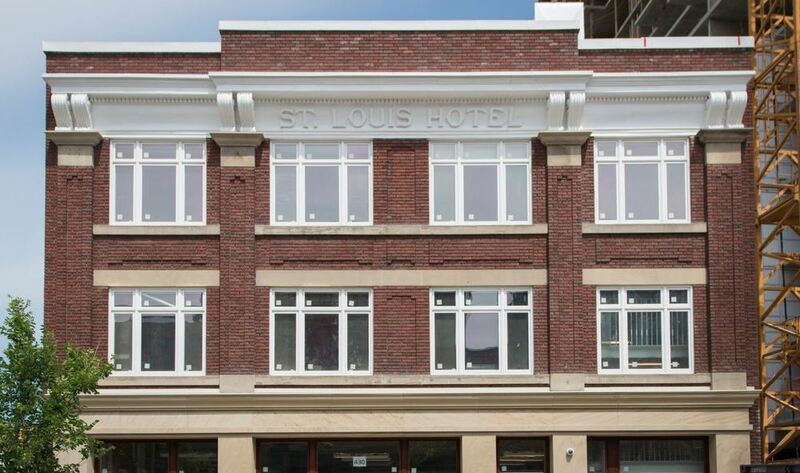 CMLC finished the restoration project on the St. Louis Hotel in July 2016. This opened a new chapter for this historical asset while further enabling the retail vision for the neighbourhood with mixed-use office space on the second and third floors and a variety of potential retail uses on the main floor and basement. To extend the life of this 1914 building by another 100+ years, CMLC fortified the edifice with a new steel structure. The St. Louis’s front façade mimics the style of the façade installed in 1949, and it includes three light wells clad with white panelling to cast light throughout the building. 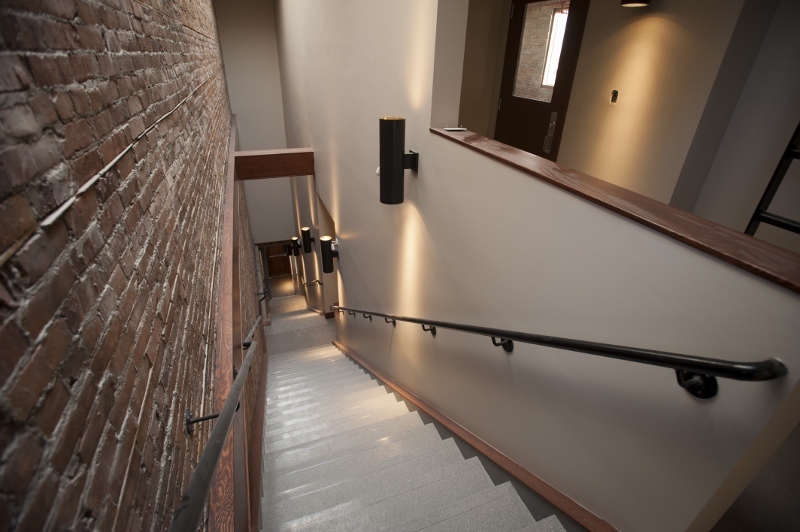 Inside, the building features a four-stop elevator, concrete-topped floors with existing milled floors exposed below, and exposed brick, mechanical, electrical and structural elements to evoke the original building’s rustic feel. CMLC’s head office is currently operating in office space. The main floor is available as rentable community space for local arts, not-for-profits and industry organizations to program and activate, managed by CMLC. With the completion of neighbouring projects, specifically the New Central Library, CMLC is actively seeking commercial and retail tenants for the St Louis. One of only seven pre-World War I commercial structures in East Village, Hillier Block has stood three storeys tall on 8th Avenue SE since 1910. Like so many of Calgary’s early buildings, the Hillier is detailed with sandstone from local quarries; and the building retains its original ornamental metal cornices, recessed-entry storefront and red brick façade. 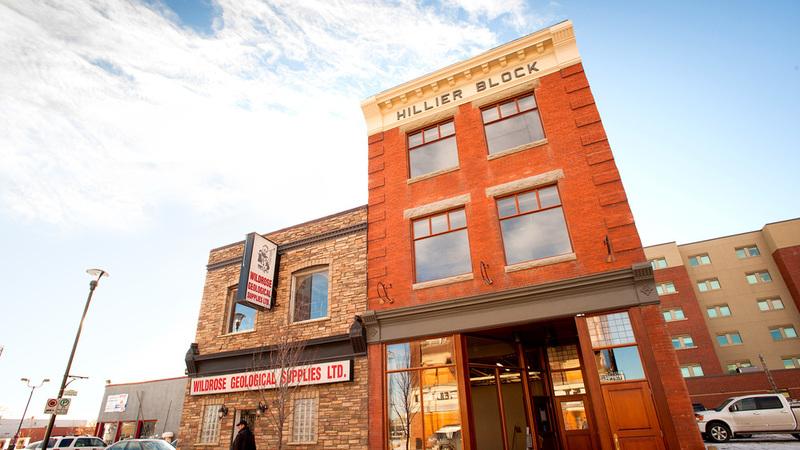 Originally home to a billiards hall and barbershop on the ground floor with residential suites above, Hillier Block received its designation as a Municipal Historic Resource from Calgary City Council in February 2008. Despite its extremely poor condition when the Hillier was transferred to CMLC, this historic building is now fully restored. In April 2012, CMLC relocated its headquarters to the Hillier Block to make room for new tenants in the Simmons Building. 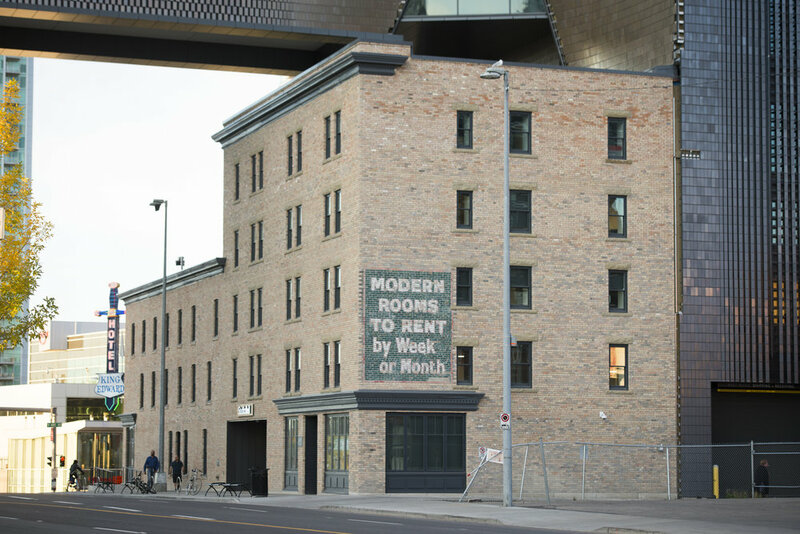 The building was occupied by Addin, the fundraising arm of Calgary Public Library, during the new Central Library construction, and is now home to Calgary Technologies Inc. – as they prepare to be the future operator of Platform Innovation Centre. 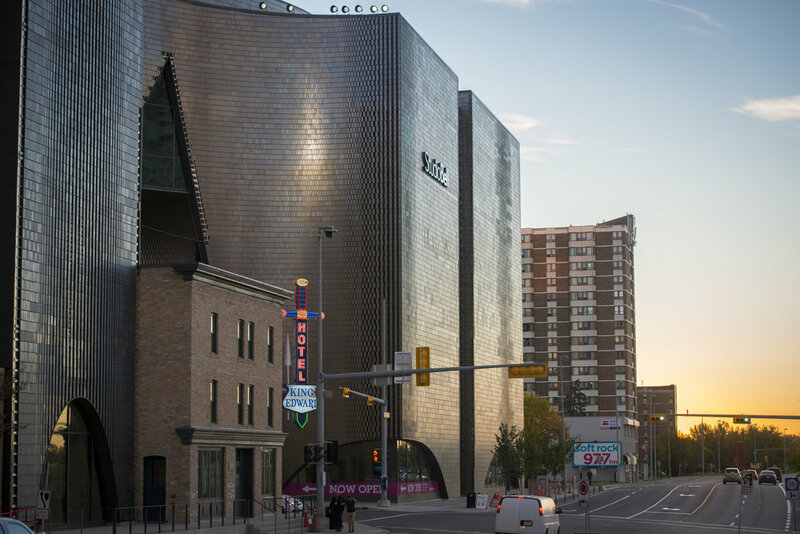 Calgary’s second oldest hotel building, the King Edward Hotel – affectionately known as ‘the King Eddy’ – has been resurrected as an integral component, and truly the catalyst, for the awe-inspiring Studio Bell, home of the National Music Centre in East Village. Built in phases between 1905 and 1910, the King Eddy emerged as one of Canada’s first blues bars in the early 1980s. Hosting legendary blues musicians like BB King, John Hammond, Pinetop Perkins and Otis Rush as well as Canadian rocker Bryan Adams, it gained a national reputation as ‘Home of the Blues’ until it closed its doors in 2004. 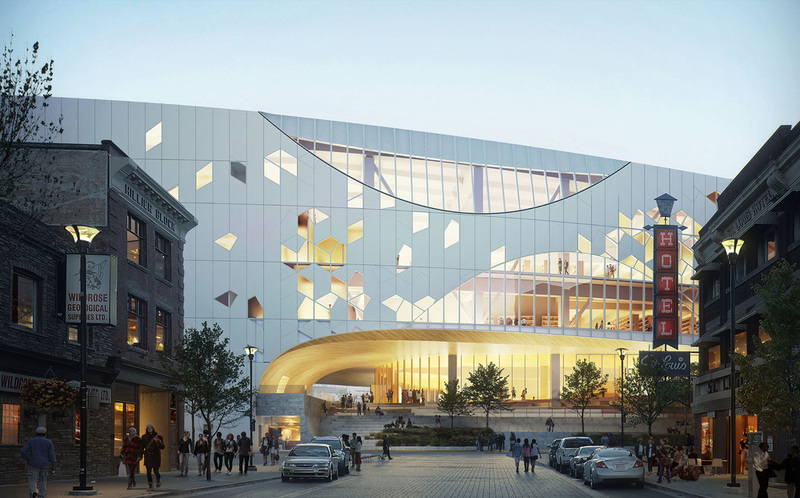 In May 2008, following our national call for Expressions of Interest and a rigorous competitive process, CMLC selected a partner for the project: Cantos Music Foundation, whose vision was to incorporate the King Eddy into the 160,000 sq ft National Music Centre, now known as Studio Bell – the architectural icon straddles 4th Street at 9th Avenue SE. CMLC also enabled the transaction of land for delivery of the NMC – a project valued at $168 million. For more information on Studio Bell and NMC visit www.studiobell.ca. Restoration and environmental remediation work in the hotel began in 2010. Construction on Studio Bell began in early 2013 and opened its doors to the public on July 1, 2016. 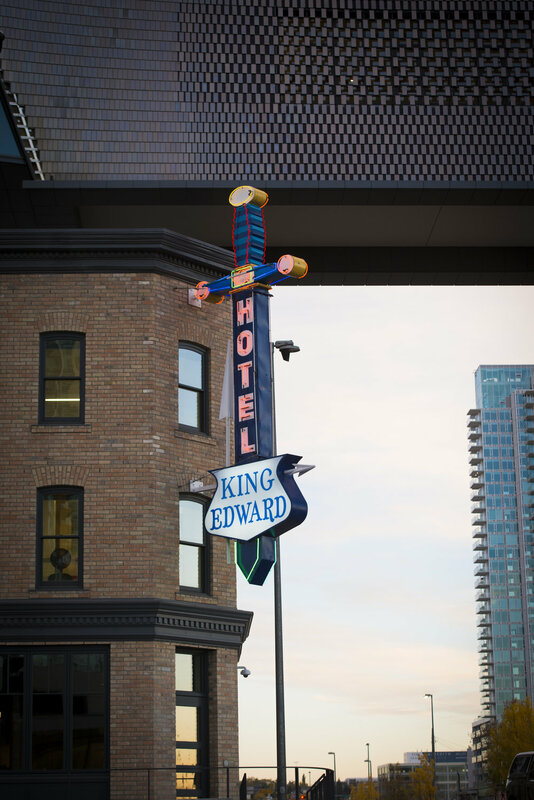 Over the following years, the King Eddy was activated for special performances and pop-up events. In 2018, the famed historic building re-opened as 4-day a week local food and beverage restaurant and live music venue. The King Eddy’s legacy plays on!